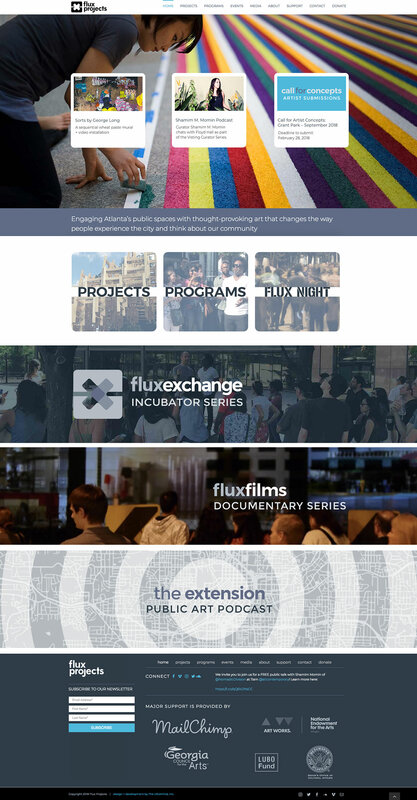 web sites – The UltraMind, Inc.
Site design and development for Atlanta public art non-profit, Flux Projects. 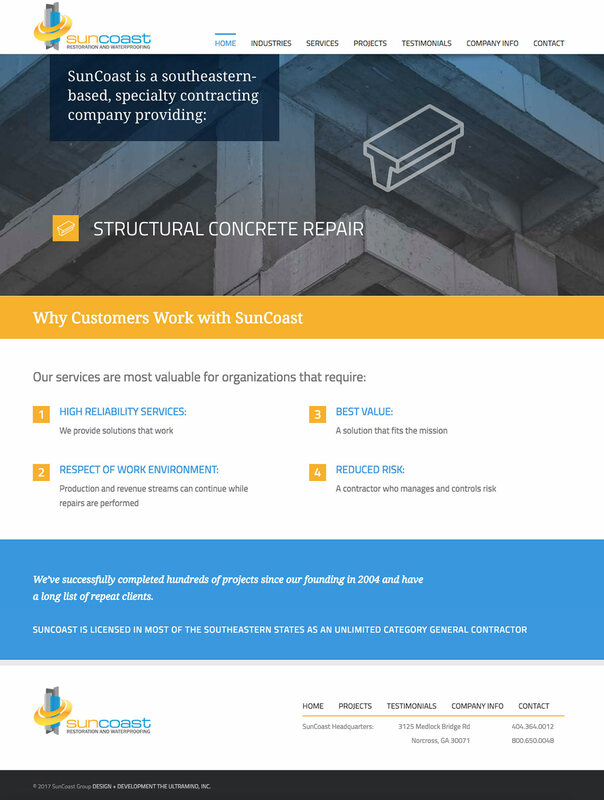 Site design and development for SunCoast Group, a commercial restoration and waterproofing contractor. 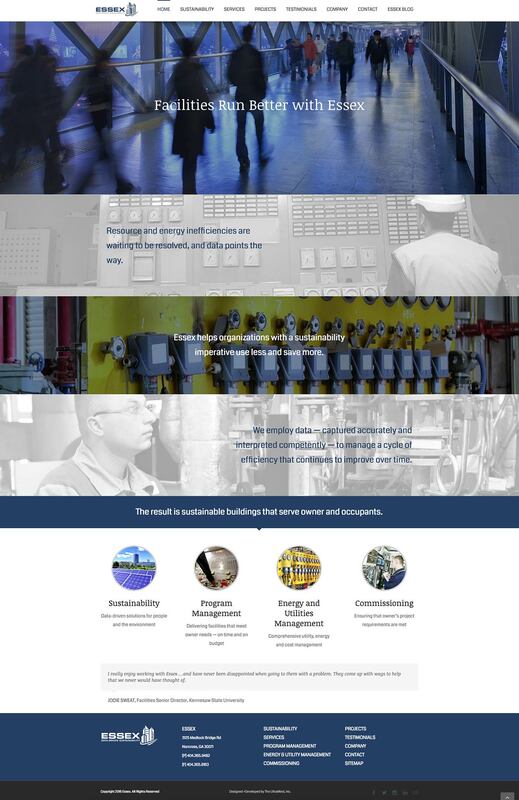 Site design and development for Essex Consulting Group, a company specializing in data-driven evaluation and sustainable implementation of building energy management solutions. 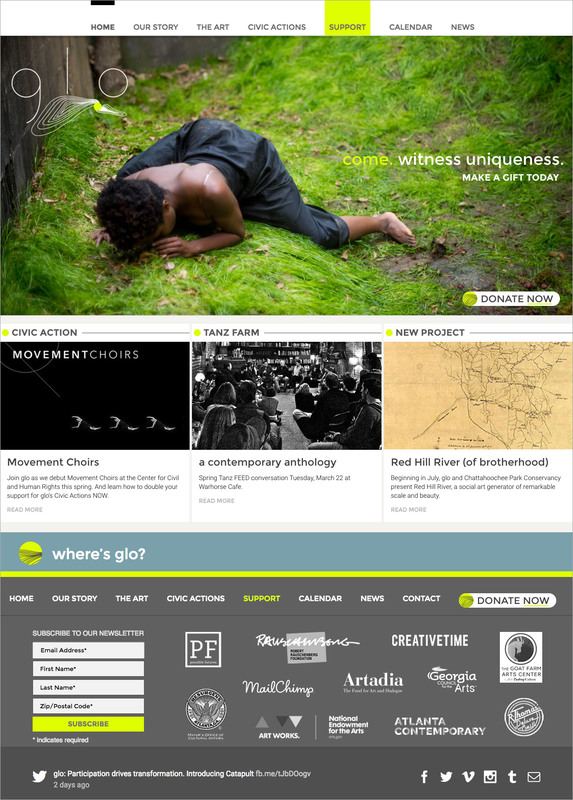 Site design and development for Atlanta dance company glo.